Aceris Law LLC is a leading boutique international arbitration law firm. 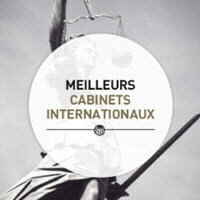 It provides the highest-quality legal representation for complex international commercial arbitrations, investor-State arbitrations and international construction disputes. It covers all jurisdictions, arbitral institutions and industry sectors, and it works under numerous laws and in diverse languages. With Harvard, Oxford and Sorbonne-trained lawyers admitted to bars of Western Europe, Eastern Europe, South America and North America, and over seventeen years of experience specialising in international arbitration law and procedure at the highest level, as well as international mediation and the enforcement of arbitral awards, Aceris Law provides the highest-quality legal representation for complex international commercial arbitrations, international construction arbitrations and investor-State arbitrations, combining excellence, rigour, experience and an outstanding track record with unbeatable rates for high-quality international arbitration legal representation in order to offer exceptional value to its clients. 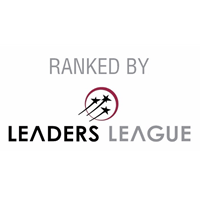 Aceris Law’s award-winning lawyers are recommended by the Legal 500 and in many other prestigious rankings in the field of international arbitration. 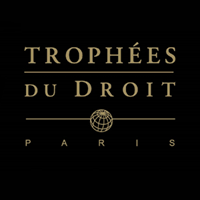 They have provided legal representation in hundreds of commercial, investment and construction arbitrations, for clients including businesses of all sizes, foreign investors and State entities, in arbitrations with their seats in Europe, North America, Central America, the Middle East, sub-Saharan Africa and Asia. They have provided legal representation for ICC, ICSID, LCIA, ICDR, SIAC, SCC, DIAC, HKIAC, JAMS, CICA, PCA, OHADA and ad hoc (often UNCITRAL) arbitrations, as well as under the rules of lesser-known institutions, establishing an excellent track record. Aceris Law is capable of providing legal representation under nearly all laws. 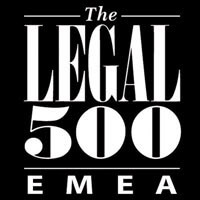 It has previously provided legal representation for arbitrations under English law, French law, Swiss law, Spanish law, Saudi Arabian law, Brazilian law, Mexican law, German law, Chinese law, Uzbek law, Turkish law, Angolan law, OHADA law, Malaysian law, Singapore law, Hong Kong law, Moldovan law, Albanian law, Romanian law, public international law, various American laws, various Canadian laws, and the laws of many other common law and civil law jurisdictions. The working languages of Aceris are English and French, although our arbitration lawyers also speak Spanish, Portuguese, German, Russian, Arabic, Serbo-Croat, Czech and Slovak, and they regularly serve as legal counsel in cases with Chinese, Japanese, Turkish and many other linguistic elements. Aceris Law works hand-in-hand with its clients and in-house counsel, allowing them to play as significant a role in the resolution of their dispute as they desire. It also frequently collaborates with co-counsel throughout the world, who are seeking transparent assistance with arbitrations for their clients and a firm that rigorously respects the boundaries of pre-existing client relationships, while not overbilling their clients. Aceris Law also provides legal representation for public international law disputes. It currently serves as counsel to the former British protectorate of Barotseland with respect to a dispute against the Republic of Zambia. Aceris’ lawyers are also engaged in reform projects enhancing the role of arbitration as a a tool for economic development around the world. Special Counsel Marie-Camille Pitton is responsible for developing the arbitration component of the OHADAC project. She currently oversees the creation of an arbitration and mediation Centre, making alternative means of dispute resolution accessible to local entrepreneurs, in order to promote intra-regional trade and human development in the Caribbean region.